The delicious new floral by Dior. A positive and joyful harmony for a playful and irresistible Miss Dior. 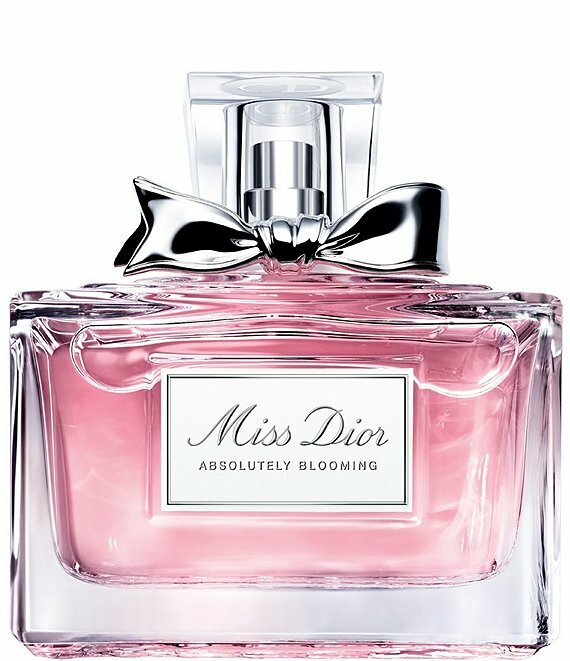 Bright and colorful, Miss Dior Absolutely Blooming is a floral delight you return to over and over. Its top notes of tangy Red Berry are joyful and striking. At its heart, a sublime duet of Grasse Roses and Damascus Roses embrace a sensuous Peony accord. This infinite blooming of fresh flowers is comforted in a base of White Musk notes. The opening notes of red berries is tangy and striking. Raspberry, pomegranate and black currant accord are heightened by the spicy teasing tingle of pink peppercorn. At its heart lie flowers that make your mouth water! The magnificent Grasse Rose Absolute unfurls its sensual accords; it diffuses its honeyed notes. In perfect harmony with the beautifully spirited Rosa Damascena, the exquisite May Rose embraces a radiant Peony accord.